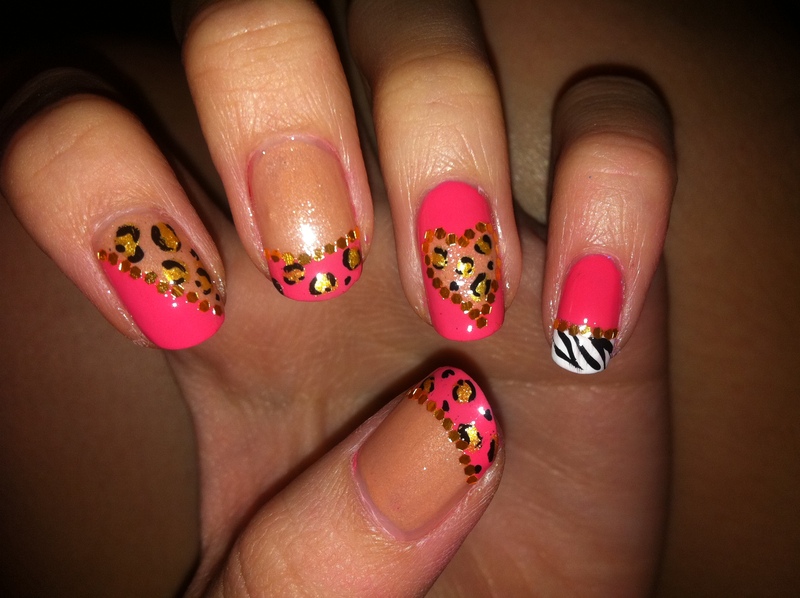 Express manicure will be at $5, add-on nail art from $5/set onwards. Please click here to check out some of the designs I’ve did previously! Right hand! Simplified the design as I’m right handed and I’m sure the result will be awful if I do the same for this hand. 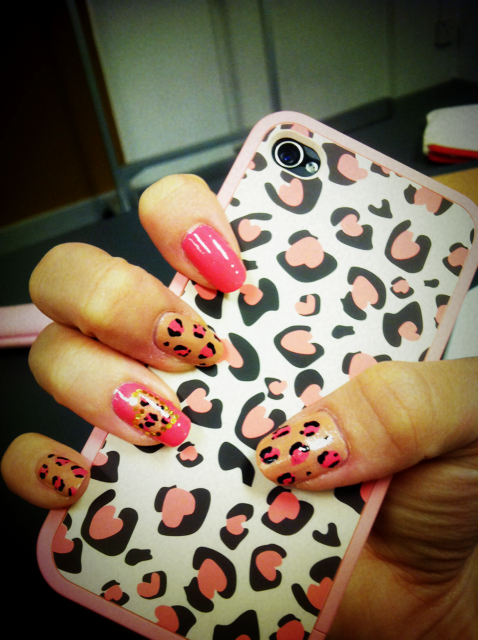 And coincidentally, my nails matches Elaine’s iPhone cover hahaha! 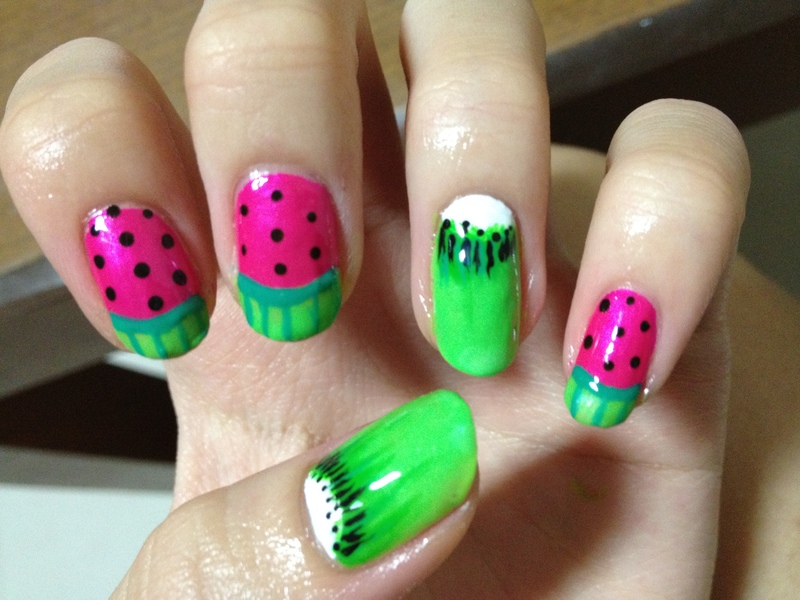 So I had to re-do after a few days.. Googled for watermelon and kiwi nails and here’s what I did. The result was….. terrible. I didn’t have these colours in OPI and China Glaze so I had to use my old polishes which I purchased from BKK. I’m not brand conscious and I love these colours, but I had them for quite some time so the polishes got tacky and hard to apply. My left hand. 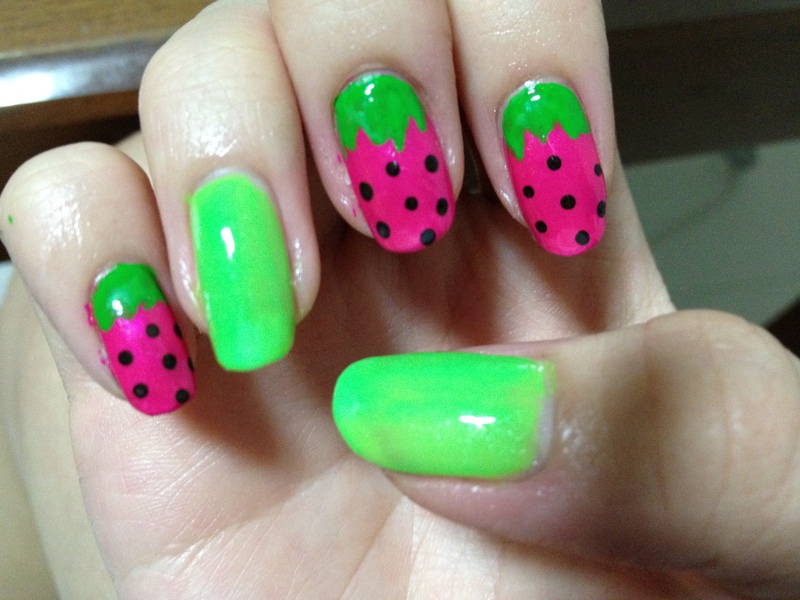 Thumb and ring = kiwi nails, the rest are supposed to be watermelon… -___- My right hand with strawberries! Ironically, I think I did better for my right hand than left hand! 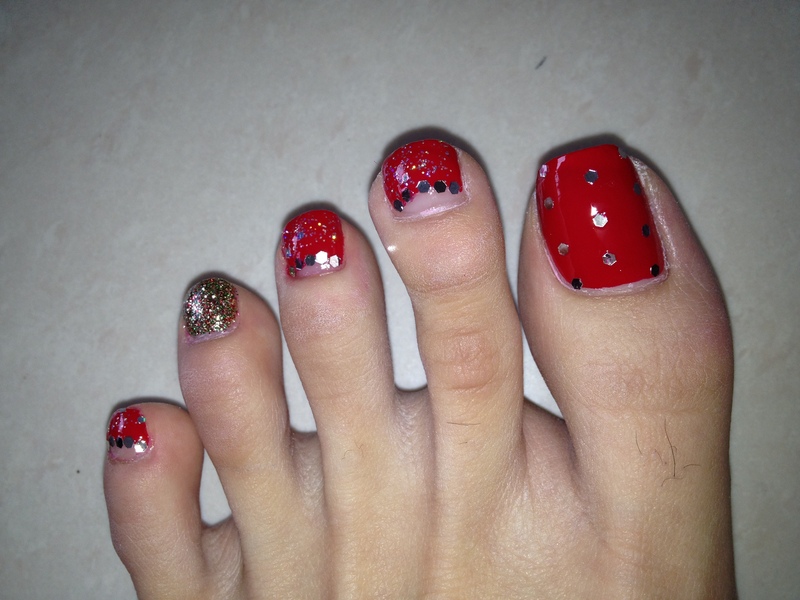 (Other than the polishing skills lol) Finally changed my toenails after what seems like 2 months?! Even after my pedi lesson (with 2 french, 3 red, 5 multi polka dot nails on my 10 nails respectively hahahaha), I was reluctant to change them as I get REALLY tired after doing my own nails. Leeping came over yesterday to get her halloween cupcake done! Very cute design from Simply Rins (: This was done 1 week ago but I only had time to update it now! 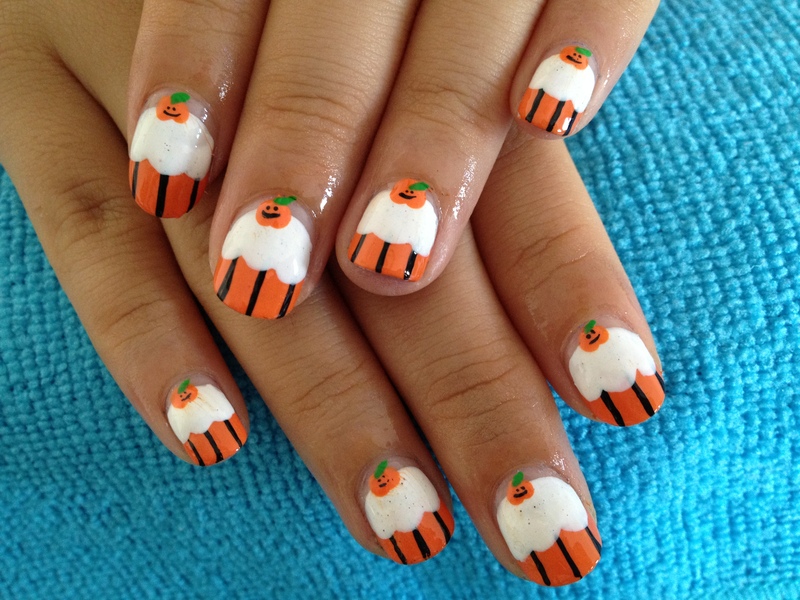 Gwen came over last week to get her nails done, her nails are so long and pretty any design will look good on her! Momsy’s colourful leopard prints for a relative’s wedding! My mom’s toenails are the most difficult to paint on as she has ingrown nails and the rest of her other smaller nails are relatively shorter so I always have problem painting them. But I treat it as a challenge! Haha. Something simple (: Josephine’s sweet polka with french nails. 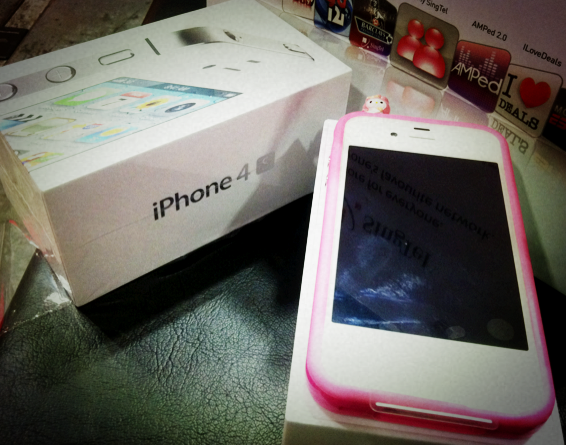 Lastly, I shall end this post with my new iPhone 4S! Hahahahaha. Hope my picture resolution will improve since the camera is upgraded to 8MP?! ← ❻: Flea with Mynt!